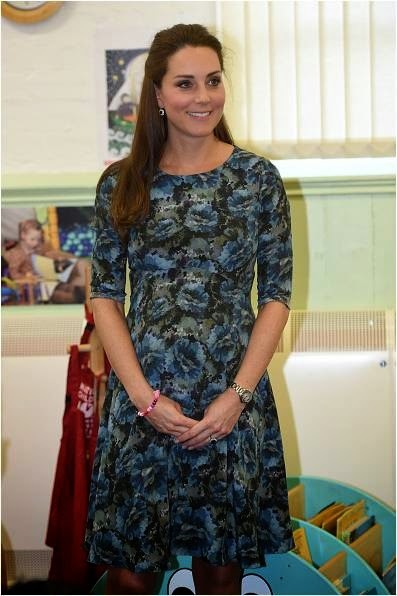 Kate Middleton wore Seraphine today during her visit to the Cape Hill Children's Centre the in UK! The Duchess of Cambridge glowed in blue hues wearing Seraphine's Florrie Dress. This is the second time The Duchess has worn the floral dress from Seraphine ($179; www.seraphine.com)! Kate Middleton recently wore the Florrie Dress during her appearances in Kensington!